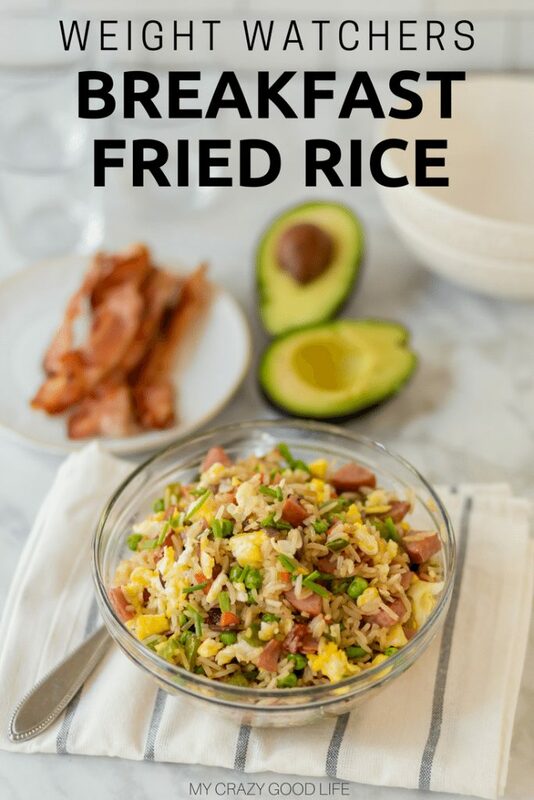 This Weight Watchers Breakfast Fried Rice is delicious! 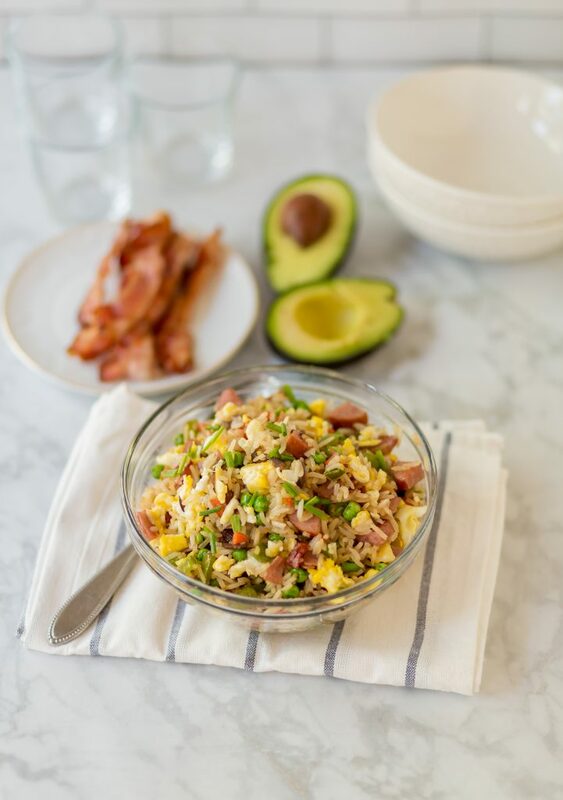 Weight Watchers healthy fried rice for breakfast will you feel full and satisfied all morning long. 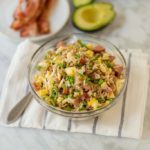 This is an easy meal prep breakfast that you can eat all week! 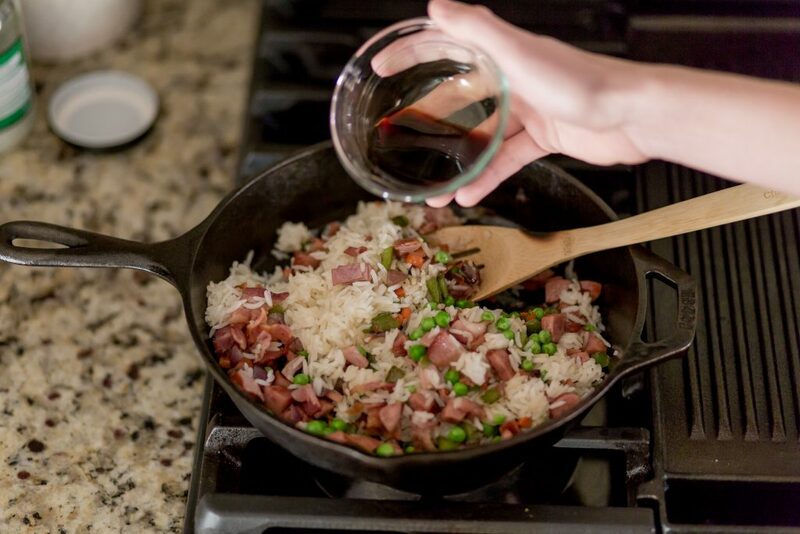 It’s never a bad day if you get to start off with some bacon, veggies, eggs, and…fried rice! Yum! This is an awesome Weight Watchers recipe because it is packed with lean protein. We all know that getting those protein levels up means more energy, staying full longer, and less chances for unnecessary snacking. I made this in a cast iron skillet which works well, gets very hot, and makes quick work of crisping up the meats and veggies. If you prefer to use a wok that would work well too! Want to learn more about Weight Watchers Freestyle? For those of you who are not familiar with Weight Watchers you can check out the program here. It’s an awesome way take control of your eating habits and develop some painless new cooking and eating habits. 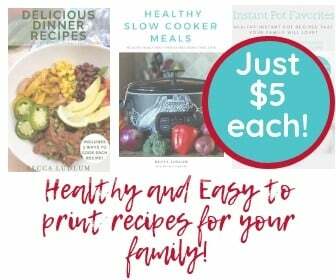 I love sharing Weight Watchers Freestyle recipes with you! I also have some other great Weight Watchers recipes here on the site. Like these tasty Swedish meatballs made in the Instant Pot, this quick and easy Weight Watchers casserole, and even some desserts like these lava cakes! 1. Mix Tamari or low sodium soy sauce with mustard. Set aside. 2. 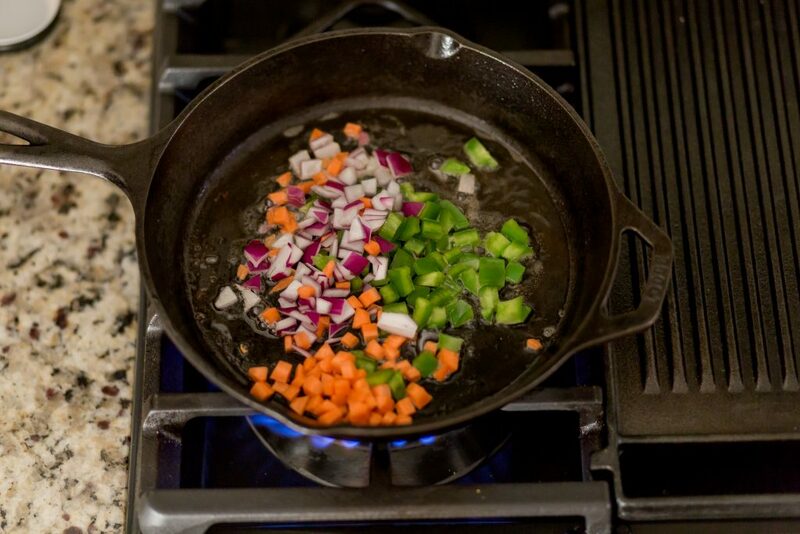 Heat 1 tbsp coconut oil in a large skillet or wok. 3. Add onions, garlic, bell pepper, ham or sausage (add any additional items at this time also). 5. 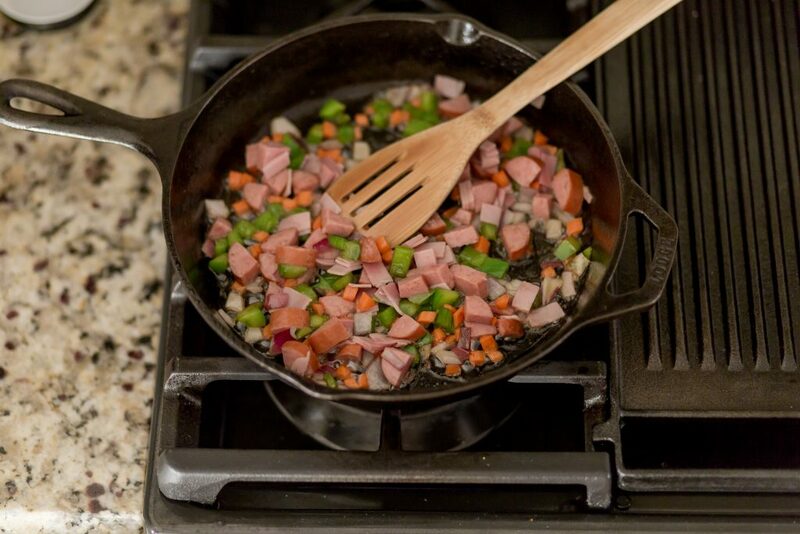 Add bacon, peas and carrots and rice. 6. Pour Tamari mixture over rice and stir gently to combine. 7. Gently stir in cooked eggs. Cook until heated through. 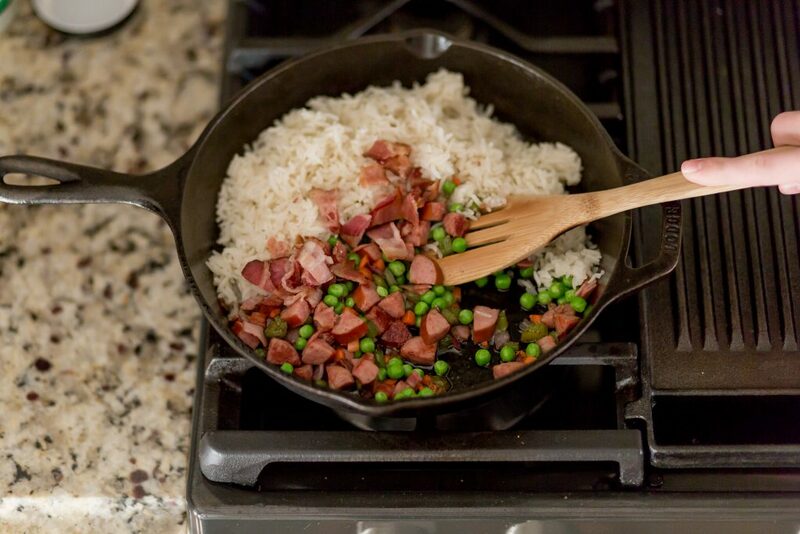 Save points by omitting the coconut sugar/crystals, using cauliflower, or cutting back on the meats used! Mix Tamari with coconut crystals and mustard Set aside. Heat 1 tbsp coconut oil in a large skillet or wok. Add onions, garlic, bell pepper, ham and sausage (add any additional items at this time also). Add bacon, peas and carrots and rice. Gently stir in cooked eggs. Cook until heated through.